No matter the exact situation, an emergency plumbing problem is never a good time. When water starts to flood and spray all over house, you want that problem fixed immediately. And if the water that’s coming into your home happens to be coming from a drainage pipe, the smell and general nastiness makes the situation that much more like a crisis. At Advantage Plumbing, our business is fully licensed, bonded and insured, and all of our plumbers have extensive experience with all array of residential plumbing issues and emergencies from backed up deep clogs to ruptured pipes and everything in between. Don’t get caught hiring someone who’s unqualified when your home needs a professional more than ever. 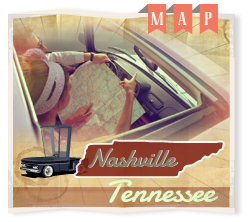 Contact us when you need emergency plumbers in Franklin, Mount Juliet, Murfreesboro or any other part of Nashville. We’ll get the job done right. Call us at (615) 781-1239 and rest assured that the plumber we send your way will be the skilled and qualified plumber you need. Just remember, for starters, your plumber should know the basics. Watch the video below and feel free to question the Advantage Plumbing team member that fixes your problem… we’re sure they’ll be up for the challenge!